Disabled People Destroy Science Fiction Personal Essays Editor Nicolette Barischoff Wants Your Essay Pitches! 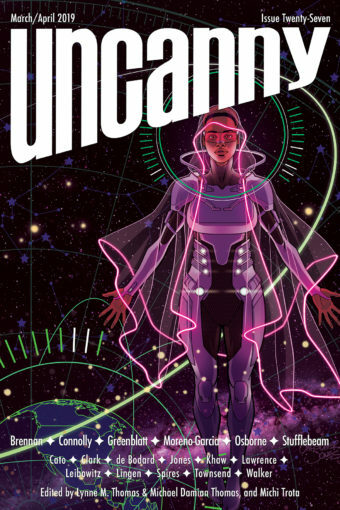 Uncanny Magazine Disabled People Destroy Science Fiction/Year 4 Kickstarter Coming in July! Two Uncanny Stories, The Thomases, and Uncanny Magazine Are All Hugo Award Finalists! Liz Argall’s Things React to The Uncanny Valley!